Mini Residency 2018 — M. David & Co. The residency group will participate in Studio visits and or a Museum day on Sunday the 16th with Michael David. The goal of this residency is to provide you the time to focus on your work away from the distractions of day-to-day routines and to participate in the shared energy of like-minded artists as you take your work to new levels and prepare for your exhibition at M. David & Co.
Michael David will work with you via Skype or phone for two, hour-long sessions (and will email as needed) prior to your arriving at the residency. This will allow Michael to gain a better understanding of you, your work and goals to maximize your experience. He will also be available on a consistent basis for dialogue about your work during the time at the residency. This residency offers the speed, intensity and energy of NYC and the exposure to the NYC art world. The gallery and studio are great places to work with others who share the same level of seriousness and professional practice. 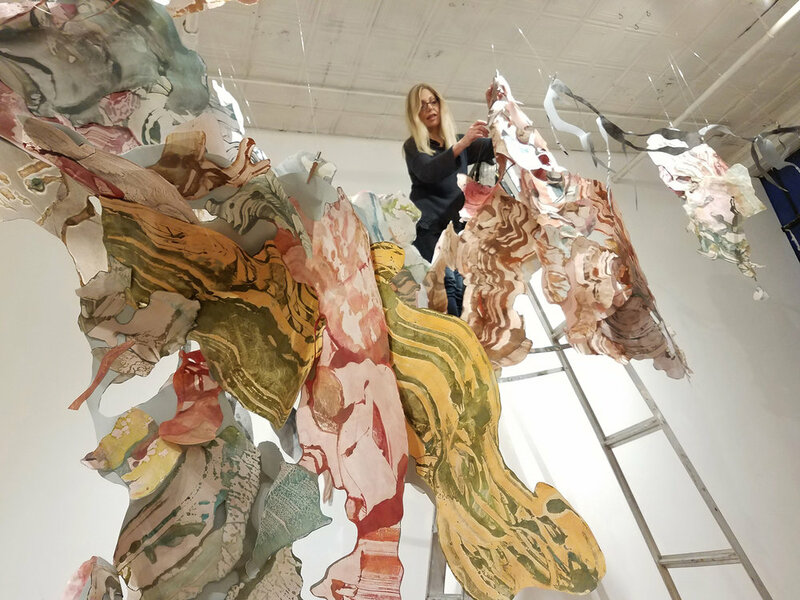 Those admitted to this residency will be selected because their work is already at a level ready to exhibit and should be prepared to bring work in progress as well as work to develop. 1) Admission to this program will be done by a digital portfolio and website review. Details below. 2) Studio/Gallery spaces will be provided at 56 Bogart Street. 3) You will be responsible for your own housing (there are ton of inexpensive Airbnb's close by) and meals, though lunches and dinners as a group happen and will be optional. 4) The residency will include talks and crits by guest artists including Paul D'Agostino with an opportunity to dialogue about your work. 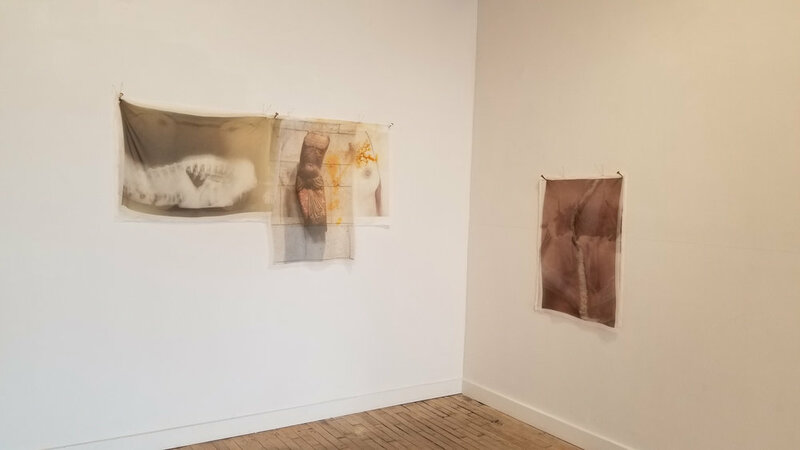 Paul D'Agostino is an artist, writer, translator, curator and professor living in Bushwick, Brooklyn, where he has been producing and hosting art exhibitions and critical discussions at Centotto Gallery, situated in the living room of his shared loft, since 2008. He holds a Ph.D. in Italian Literature and is currently a member of the part-time Art Faculty at Parsons The New School for Design, and MFA Writing Advisor at the New York Studio School of Drawing, Painting and Sculpture. He has also taught language, literature, cinema and interdisciplinary studies courses in the Department of Modern Languages and Literatures at CUNY Brooklyn College, the Department of Romance Languages at Fordham University, and the Italian Department at Rutgers, The State University of New Jersey. 5) Crits and discussions on your work, including professional development by Michael David will also be a part of the residency. 6) Time Permitting; visits to galleries and artist studios will be arranged with optional participation. You are of course free to spend your days doing anything you want and to visit more on your own. 7) You will be responsible for bringing or shipping your work, supplies and tools including hanging systems etc. Tables, chairs and some tools are available and you'll have a chance to go over your needs, so you know what to bring, before the residency. Notifications by email or phone by November 4th. RSVP required that you will be participating by November 6th. Lack of confirmation may result in the next applicant being accepted. The residency is $1500 and the amount is due by November 11th. Non-payment may result in the next applicant taking the space so please be sure to follow the timeline. The cost for this program is $1500. $750 of that is refundable, should you need to cancel after the amount is paid in full. No refunds after December 1st. This residency will include 6 artists only. If your submission is not accepted this go round, it will be considered for future dates. The vision for each residency is unique. Further follow up will be done with Michael David at michael@mdavidandco.com. 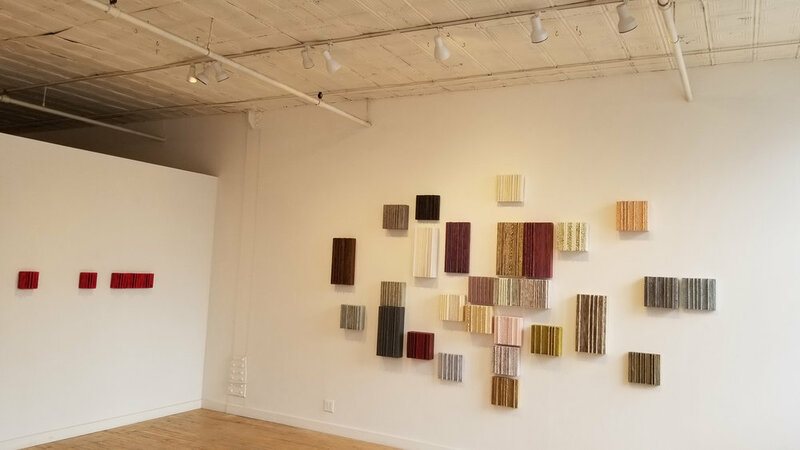 Michael David has been exhibiting internationally since 1981, first with the Historical Sidney Janis and then with M. Knoedler & Co for over two decades. Exhibiting widely throughout the United States for 30 years, and has been the subject of much historical and curatorial acclaim. His work is included in the permanent public collections of the Museum of Modern Art in New York, the Guggenheim Museum in New York, the Museum of Contemporary Art in Los Angeles, and the Los Angeles County Museum of Art, among several prominent private collections. In the last decade David established the Fine Arts Workshop in Atlanta working with artists on an immersive one to one basis helping artists to develop their voice and professional practices, helping artists find exhibition opportunities and helping them prepare to take their individual expressions. 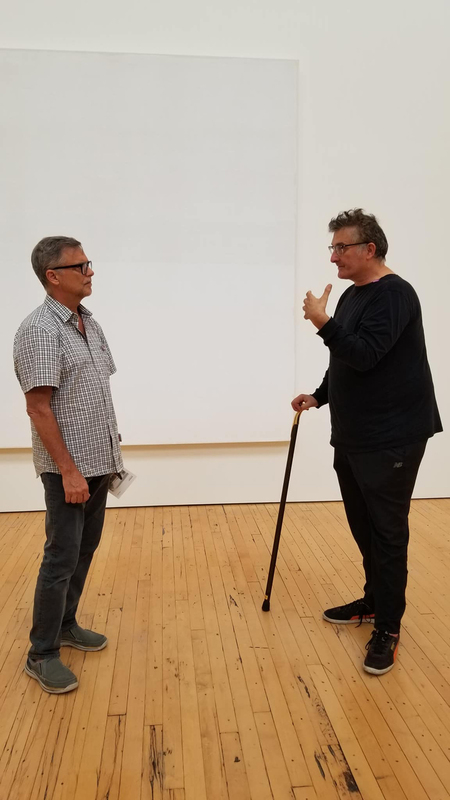 In the last five years David established, Directed and Curated two of the most successful Galleries in Brooklyn, Life On Mars (no longer in existence) and David & Schweitzer Contemporary. His current gallery/project is M. David & Co. including exhibitions and residencies. The feedback and input from Michael have been invaluable. Michael helped me hone-in on a few key words, phrases and concepts in a succinct and precise way that became foundational in building forward with my work. I now have those utterances to live with in the studio and have found myself doing more research; delving into artists who have worked in similar genres to gain deeper historical insights and I am continually employing concepts I relate to and I believe can be of value, into the work. The residency gave Michael the time to look and engage with me over days, in a way which goes beyond a crit from not only a trusted eye but someone who "gets you" and can reach in and give you a clarity of vision.